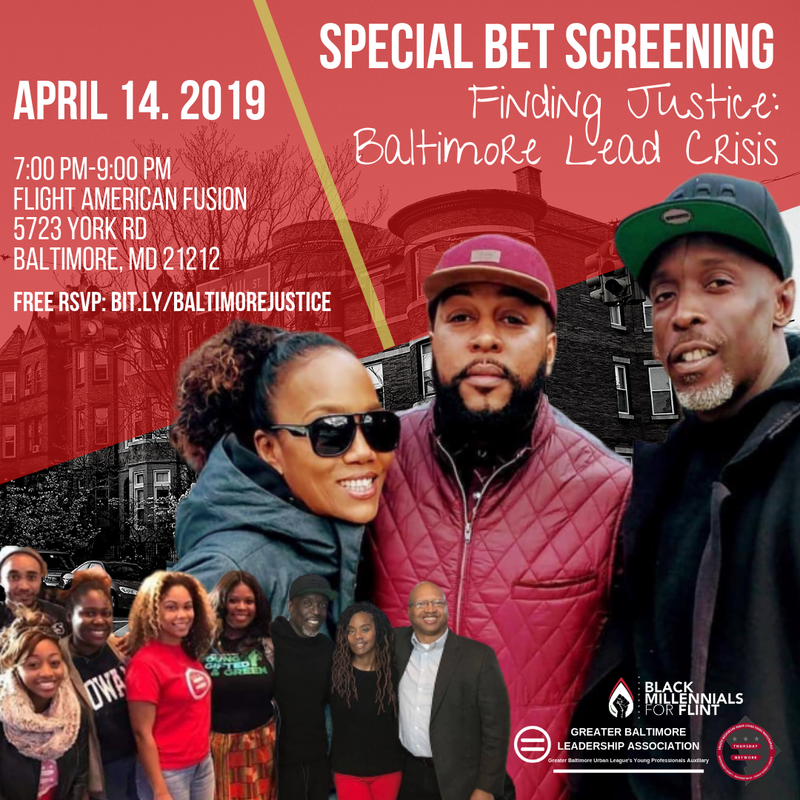 Join Black Millennials for Flint in partnership with the Greater Baltimore Leadership Association and Thursday Network Greater Washington Urban League Young Professionals for our Special VIP Screening of Episode 6 of BET's newest docuseries Finding Justice: Baltimore Lead Crisis. As a leader in the fight for the eradication of lead poisoning, Black Millennials for Flint was selected to be featured in this powerful documentary alongside other amazing African American environmental justice leaders. If you are not in the Baltimore area, please tune in to BET April 14, 2019 7:00 PM CST/8:00 PM EST.